In Williamsburg, the Whisk kitchenware shop is being driven out by a massive rent hike. They've only been around for a decade, but even these newer small businesses get the boot by the big hyper-gentrification machine. 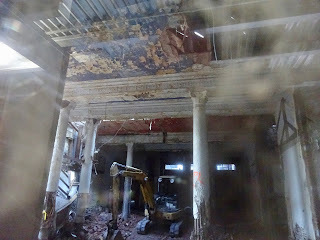 "It is a story of greed, commercial banking and the distortion of 'fair' market rents. 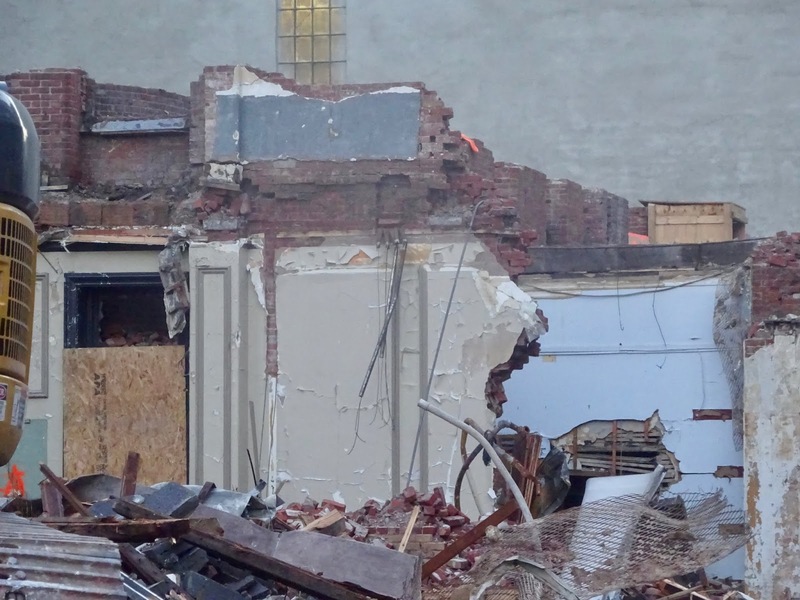 Developers identify Williamsburg as the cool place to be. Developers seek loans to amass more land ownership. Banks underwriting these mortgages demand to know payments can be met via higher rent rolls. 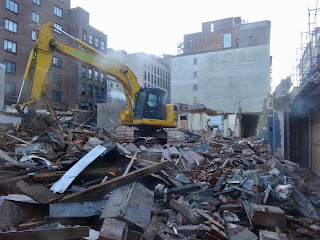 'We like chain stores for tenants,' they say. 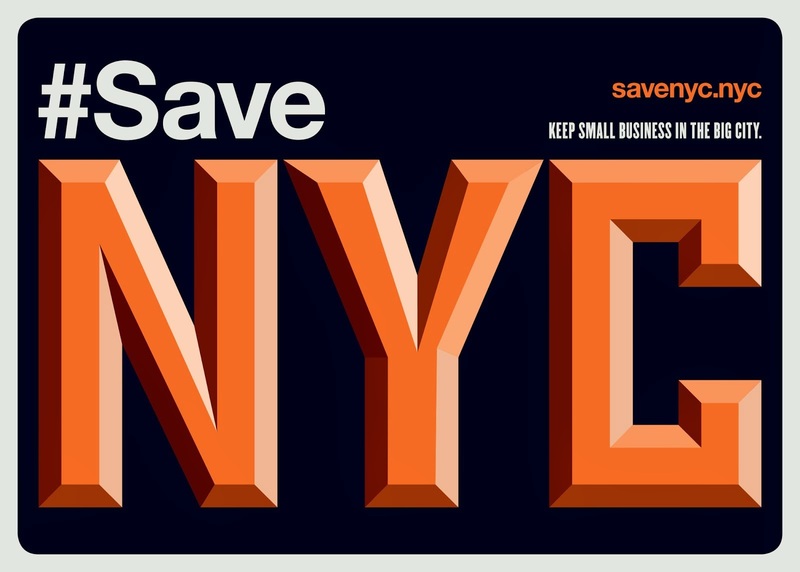 Williamsburg businesses shift from independent, unique services to large American and multinational businesses seeking to grow their brand. Can’t actually pay the high rent demand? 'No matter,' say these businesses. 'It’s an advertising investment!' Private equity supported brands want in; food chains want in; heck, all the banks want in! Big landlords are happy and finally so too are the small landlords who can now say “me too!” on high rent demands." There are solutions--but we have to take control. About a month ago, Trattoria Spaghetto on Carmine and Bleecker abruptly shuttered. It was a good place. In 2015, I worried about them. They told me they had 15 more years on their lease. I guess not. 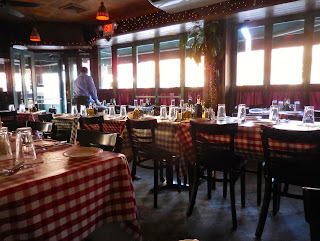 As I wrote at the time, "Trattoria Spaghetto is a good place for lunch in the off hours, on a weekday. It's quiet. There's an old woman who sits by the door in a turban. She knows everyone and everyone knows her. She laughs and talks about the weather. Over the speakers, the music is Queen, nothing but Queen." 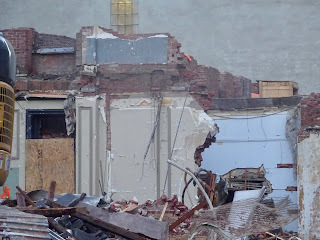 What's coming to Spaghetto's spot? 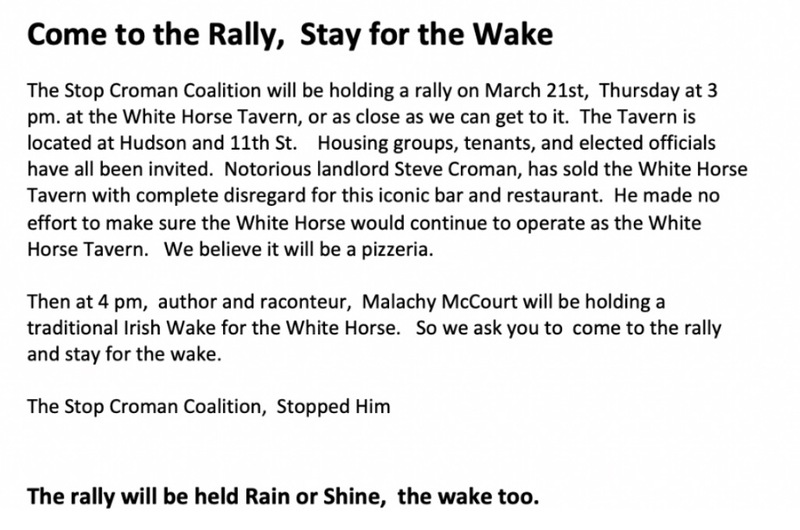 A tipster points us to a document that says it will be Dig Inn, another chain that's all about green things. Except cash. Like sweetgreen, they're (mostly) cashless. New York is currently considering a move to ban cashlessness. 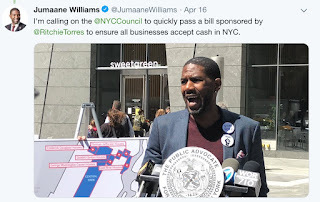 Councilmember Ritchie Torres introduced the legislation in February and it is supported by Public Advocate Jumaane Williams. Cashless businesses are discriminatory, shutting out the poor. 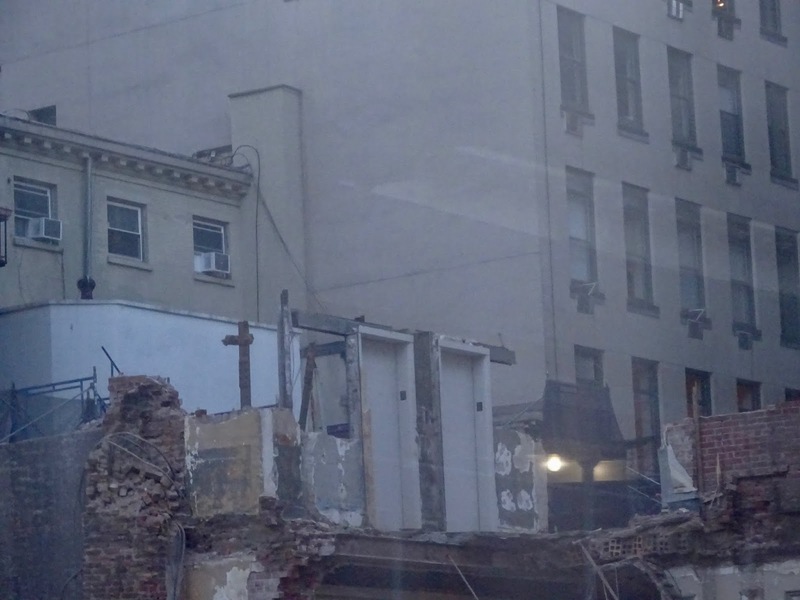 Of course, that's exactly what the New New York aims to do, building by building, business by business. 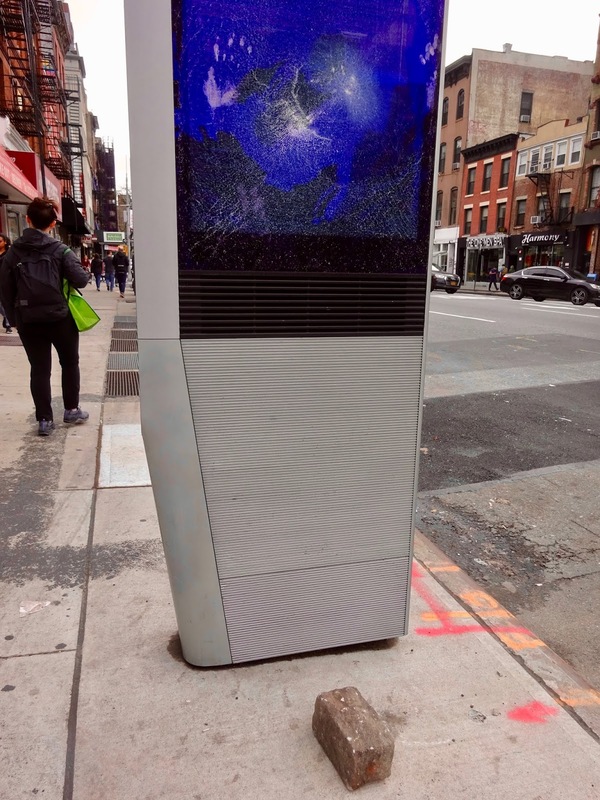 Not happy with those intrusive and distracting LinkNYC kiosks? You're not alone. 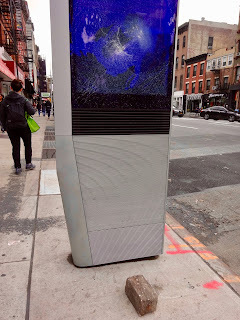 Along 8th Avenue in Chelsea, someone has been smashing LinkNYC screens with a cobble stone. The apparent rage is understandable. With their video advertisements, dumb cartoons, and repetitive quotations, the digital pylons continually rob our attention. Walking down the street, on every block, your thoughts are interrupted by the flashing screens, violating your right to keep your attention where you want it. Do we have a right to our attention? Jasper L. Tran has written, "We own and are entitled to our attention because attention is a property right and part of our individual dignity. Yet advertisement companies and scam artists freely bombard us with their 'products' daily, resulting in our own time and monetary loss." Jon Danaher at Philsophical Disquisitions calls it a "right to attentional protection." The intrusion potentially goes deeper. With their microphones, bluetooth beacons, and cameras, the kiosks may "represent a troubling expansion of the city’s surveillance network," collecting information as New Yorkers pass by. And who owns LinkNYC? As RethinkLink points out, it's basically Google -- via consortiums and companies like Titan and Control (real names), and something called Sidewalk Labs, which is owned by Google and headed by Dan Doctoroff, former deputy mayor of New York City for economic development under Bloomberg. This guy. The one who helped bring us Hudson Yards. It is perhaps no coincidence that the smashed Links are in Google's neighborhood, clustered around its Chelsea location. 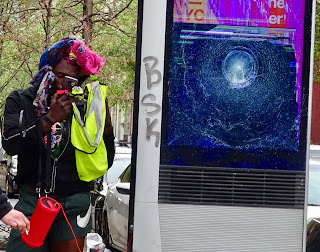 So who is our LinkNYC smasher? Is the smashing politically motivated? Is it a cry for our attentional rights? Or just a random act of vandalism? 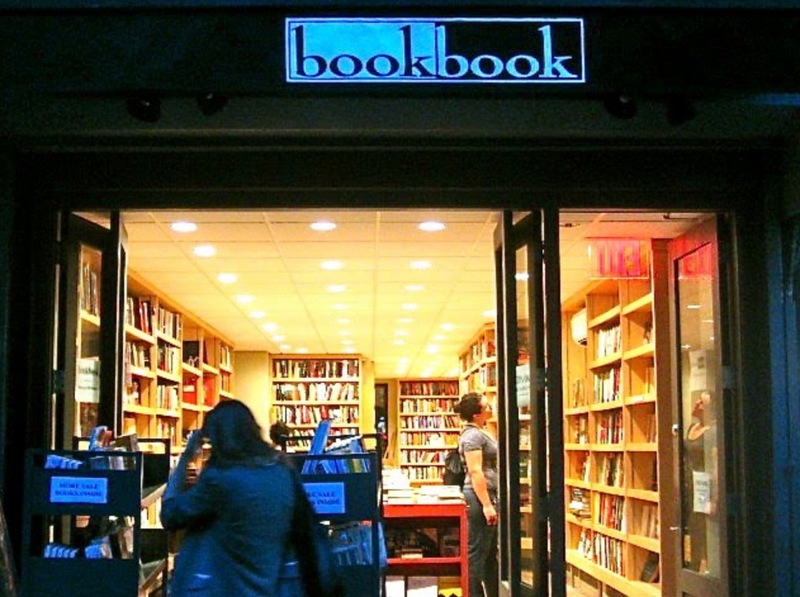 After 35 years in the Village, formerly as Biography Bookshop, bookbook on Bleecker Street will be closing. 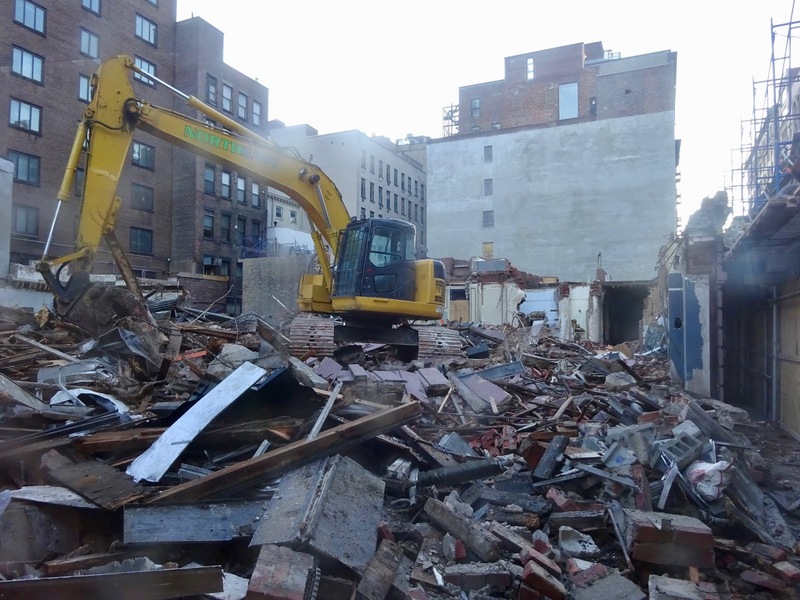 I spoke to co-owner Carolyn Epstein who told me, "It started with the rent, but then we decided it's just time for us to stop." 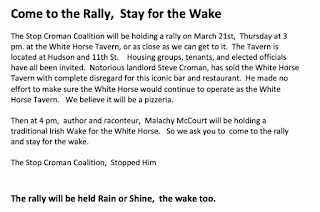 The rent is going up, and while the landlord is willing to negotiate, in order to run the bookstore, they'd need a rent reduction and that's not going to happen. "I'm 70 years old," Carolyn said. "I'm just tired." She and her husband, Chuck, opened the original shop in 1984. They were pushed out of their former space by a rent hike 10 years ago--and the spot went to Marc Jacobs. It's always a sad day when the city loses another bookstore. 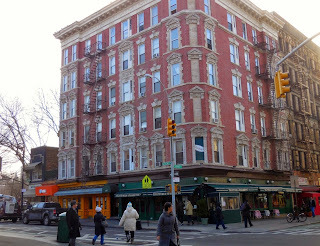 In their email announcement of the closing, Carolyn and Chuck write, "Keep supporting our independent bookstore friends in Greenwich Village at Unoppressive Non-imperialist Bargain Books, Three Lives & Company, Mercer Street Books, and Idlewild." 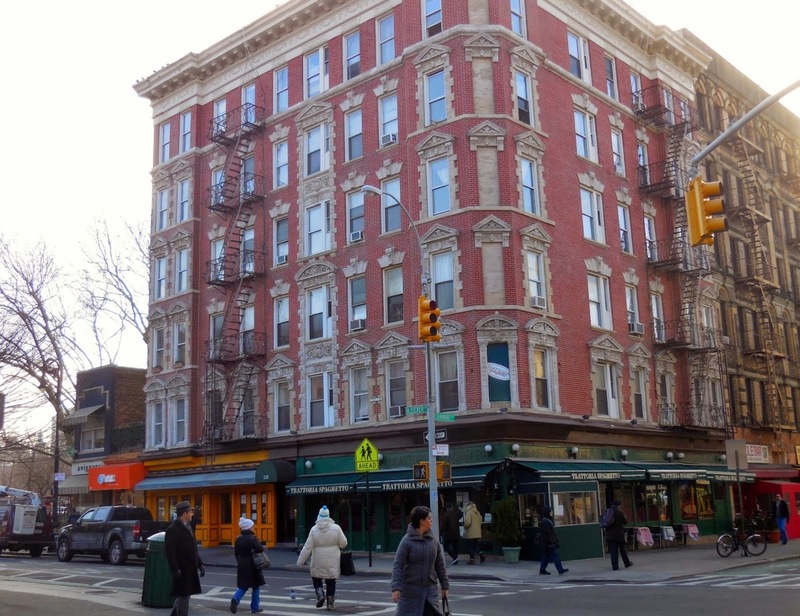 Bookbook will continue to sell books on the street, on 12th and Hudson by Abingdon Square during the Saturday Farmer's Market and possibly on Carmine by the pickle stand. Of course, Carolyn added, "If there's a cheap flight to Paris, I'm not selling books on the street." In her semi-retirement, she hopes to catch up on travel and Tai Chi. Bookbook closes May 15. Beginning April 15, they will begin discounting everything in the store at 20%-30% off. 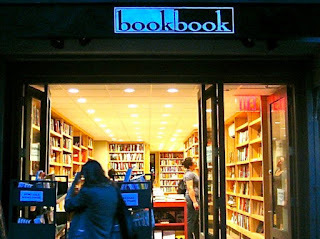 After that, follow them on Facebook, Instagram @bookbooknyc, and their email list to find out where they will be. For its opening weekend, Hudson Yards, aka Dubai on the Hudson, is crammed with people. 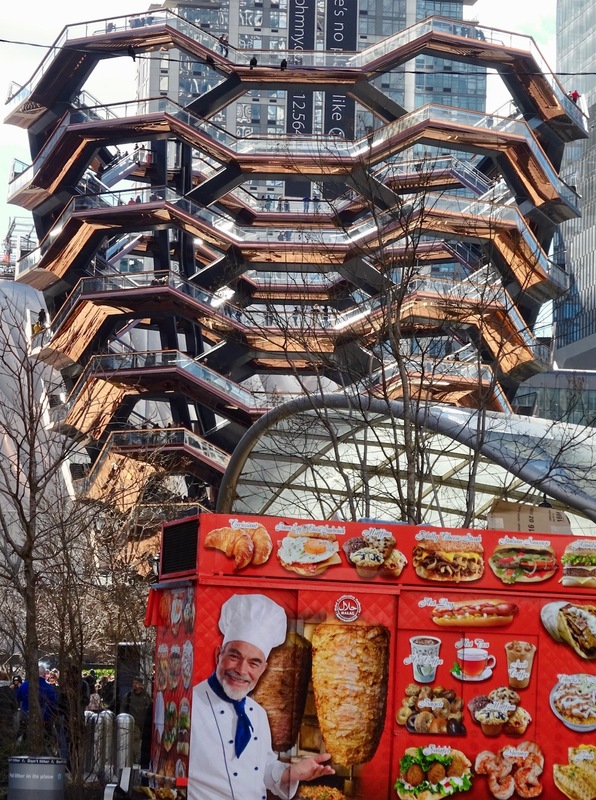 They walk the glistening floors of the luxury shopping mall and climb The Vessel, aka The Giant Shawarma (h/t Eater). They stand in line for free ice cream and ransack a refrigerator full of foul-tasting beverages that may or may not be free. They pose for Instagrammable photos with the mega-development's corporate logo and pay $28 to visit Snark Park, an "art theme park" where the creators have seized an opportunity to "literally control and curate everything," which pretty much sums up everything about Hudson Yards. 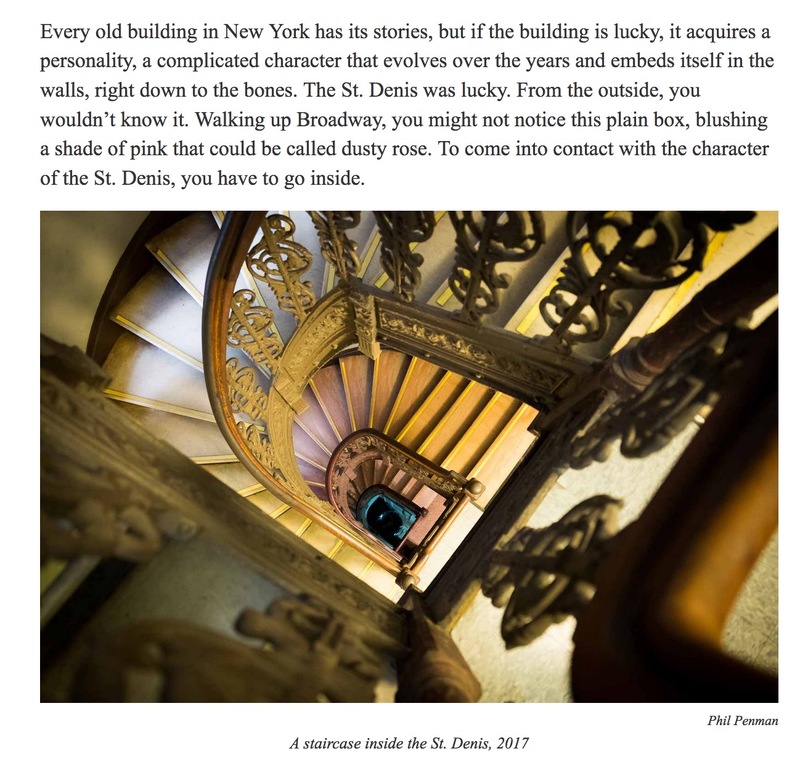 In my 2017 book Vanishing New York: How a Great City Lost Its Soul, I predicted that Hudson Yards would be: "A dreamworld of exclusion...one of those places Mike Davis describes in Evil Paradises: 'where the rich can walk like gods in the nightmare gardens of their deepest and most secret desires.' 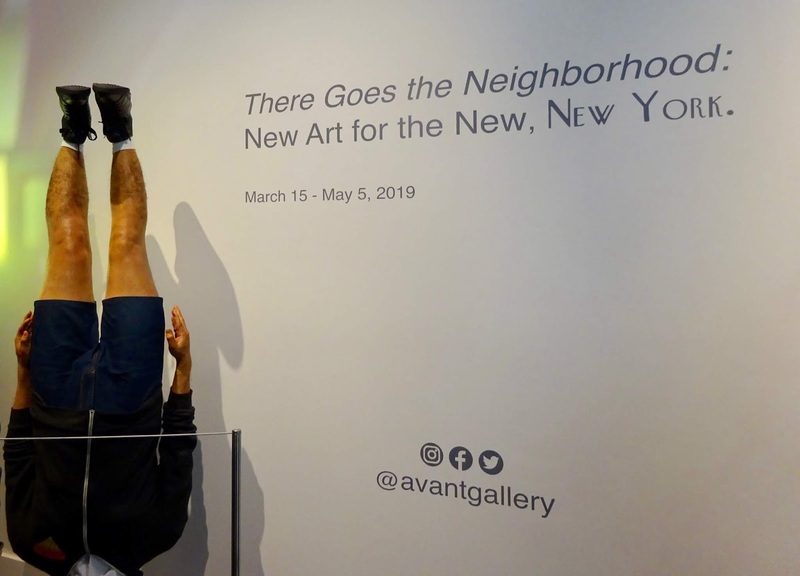 It will be what Norwegian urbanist Jonny Aspen calls zombie urbanism, a neat and tedious stage set, regurgitating global clichés about modern urban life, 'in which there is no room for irregularity and the unexpected.'" 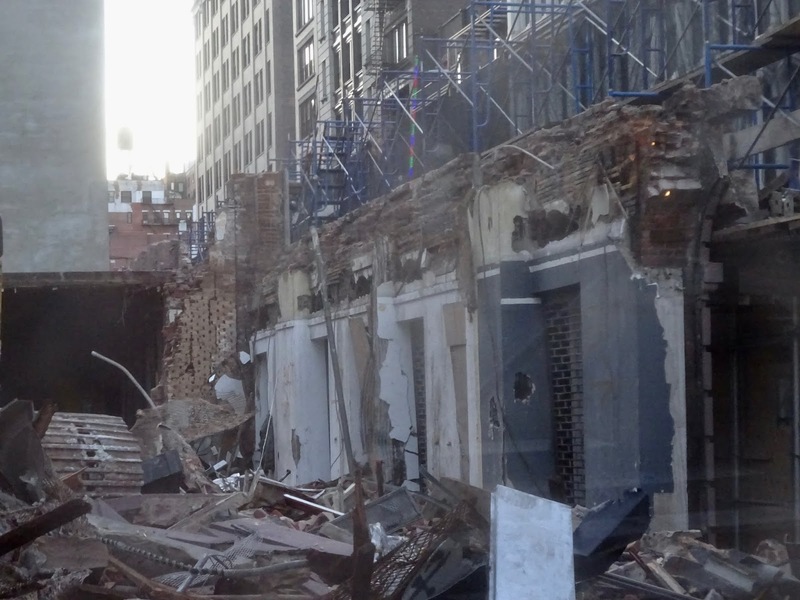 Now the taxpayer-backed mega-development has met its major critics and the verdict is in. New York magazine called it "a billionaire's fantasy city" as Justin Davidson reported that it feels like a faux New York: "Everything is too clean, too flat, too art-directed." 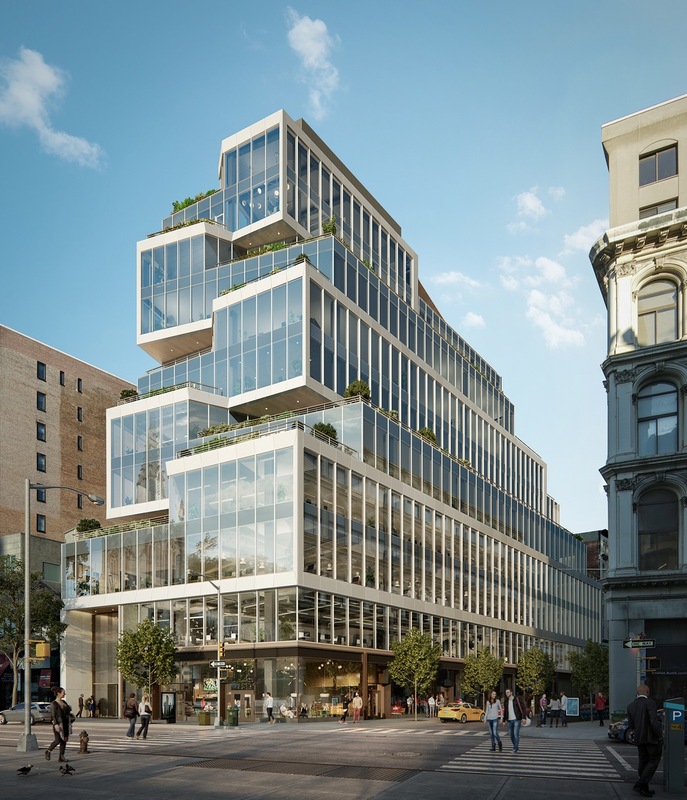 At the Times, Michael Kimmelman said the place "glorifies a kind of surface spectacle -- as if the peak ambitions of city life were consuming luxury goods and enjoying a smooth, seductive, mindless materialism." Perhaps nowhere is this more evident than in the gilded room that hawks the Residences at Hudson Yards. Just outside, in the hall of the mall, a massive video screen shows scenes from the lifestyles of the super-rich to a captive audience of tired parents and tourists beached on benches. Inside, behind 3-D renderings of the towers, visitors watch a film about the love story between Marcus, "the titan of industry," and Viv, "the fashion mogul." They are affluent, glaringly white, and well seasoned, sweeping around their tower while sucking down lattes and green smoothies. In the background plays I'm back in the "New York Groove," which Hudson Yards is decidedly not. Among the viewers in the real world, a woman asks her friend, "Is this a parody?" The question could be asked again and again while walking through the mall. 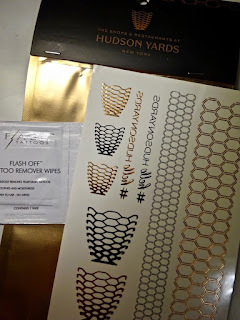 For example, when a worker hands out Hudson Yards temporary tattoos so you can brand your body with the corporate logo. Or when a piece of video art, curated by a luxury boutique, praises itself for including "gender nonconforming artists." 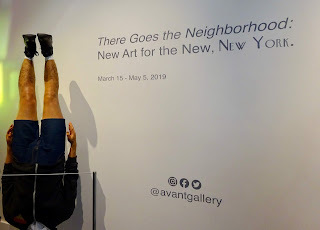 Or at the Avant Gallery, showing "art for the new New York" in a show called, no kidding, "There Goes the Neighborhood," filled with riffs on luxury brands like Louis Vuitton and Chanel, mixed with images of homeless people and downtown artists. Is it parody when a crowd crashes the unguarded refrigerators of the Hudson Yards Drug Store and grabs every bottle in sight, swigging down concoctions containing charcoal, rose petal, and turmeric? People gag on the drinks, re-cap the bottles, and leave them on the floor. 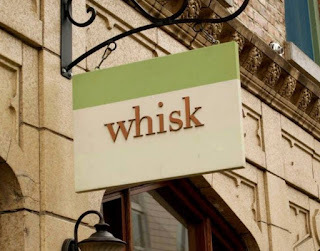 Someone says, "It tastes awful." Someone says, "I don't think these are really free." Will young communists soon fill this billionaire fantasy anti-city--and will they be disobedient? Finally, there's The Vessel, that walkable "stairway to nowhere" that the billionaire developer of Hudson Yards called "the social climber." To walk it, you'll have to agree to an acknowledgment of risks that "may include, for example, slipping, being knocked off balance, falling, exposure to heights (which may cause vertigo, nausea, or discomfort), exposure to flashing or intermittent special effects or lighting, personal injury, or death." One other risk: If you appear in any photos, including your own, you sign away "the unrestricted, worldwide, royalty-free, perpetual right and license (with the right to transfer or sublicense) to use my name, likeness, voice, and all other aspects of my persona." The Vessel's hornet's nest logo is on everything, but nowhere does its silhouette most excite me than when it accidentally appears on the side of a nearby food truck--The Giant Shawarma mirrored by an actual shawarma. 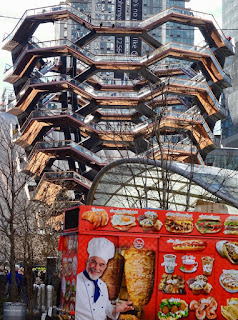 As I escape Hudson Yards, I point out the similarity to the vendor inside the truck. "Yes," he calls out, seeing the joke, "the same! It is the same!" And he has a good laugh. In the end, it all seems like one big joke.